Really awful. I spent years biting them so they are damaged beyond belief - soft and thin whilst also managing to bend, break, chip and peel. And when I say peel, I mean REALLY peel. 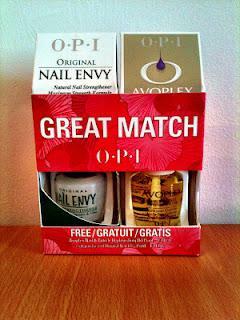 I have had enough of this and decided to up the ante on my quest for strong, healthy nails by getting myself some O.P.I. Nail Envy. As you can see, I managed to get myself a pretty good deal as the O.P.I. 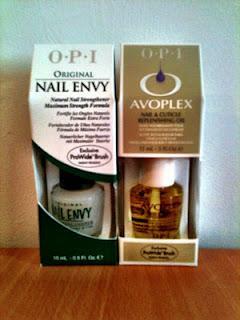 Avoplex Nail and Cuticle Replenishing Oil came free! So, I've read some pretty good things about O.P.I. Nail Envy and, obviously coming from O.P.I. it should be pretty good. Nothing else seems to have worked on my nails and it can't hurt to give it a go right? I'll be following the instructions religiously over the next few weeks and will report back with any progress and improvement (hopefully). I also just wanted to quickly mention some new nail varnish remover I got over the Jubilee weekend - it's SCENTED people! And it smells pretty good for a nail varnish remover! 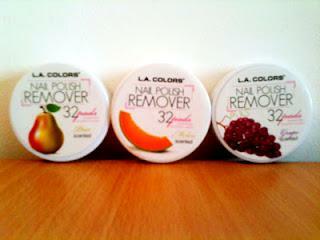 I got these from Westfield London in a shop called Beauty Base and they were 99p each so I thought I'd give them a go! Such cute packaging too!